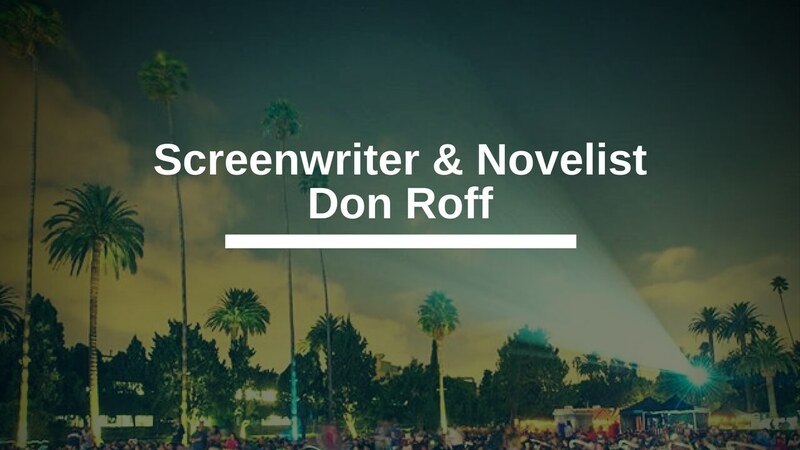 This week screenwriter and novelist Don Roff joined us in the Screenplay Lab Facebook group to talk about his writing process. I am constantly amazed at how much Don WRITES. Seriously, there’s always something new, it seems. So I asked him to share HOW he does this — what are his organizational, motivational, and productivity strategies? In this interview we talk about writing novels vs. screenplays, setting writing goals, and how Don balances projects. We also get into Don’s own development process, including the unique way he uses the Save the Cat beat sheet. Keep an eye out for the “beat-ment” and remember you heard it here first.